Certain dishes you won't believe till you taste it. This is one of such recipe. If you are a fan of mor kuzhambu this is something not be missed. 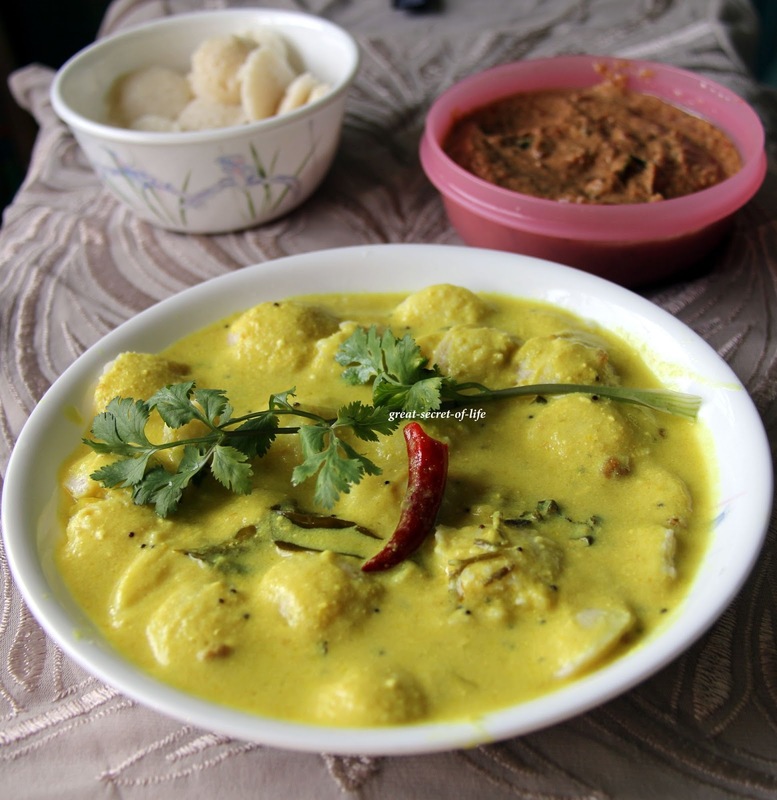 Last weekend I made mor kuzhambu and Parppu Thuvaiyal which is favourite combination for our family. Kids loved the thuvaiyal rice so I had quite a bit of mor kuzhambu left over. I was planning to do idli for dinner. My 2nd son recommended to use it for idli (similar to sambar idli) he also said here you go with new dish for your blog (so sweet of him). It tasted divine... Try out. I feel hungry just bupy seeing it and the cute idlies ..yummy ! 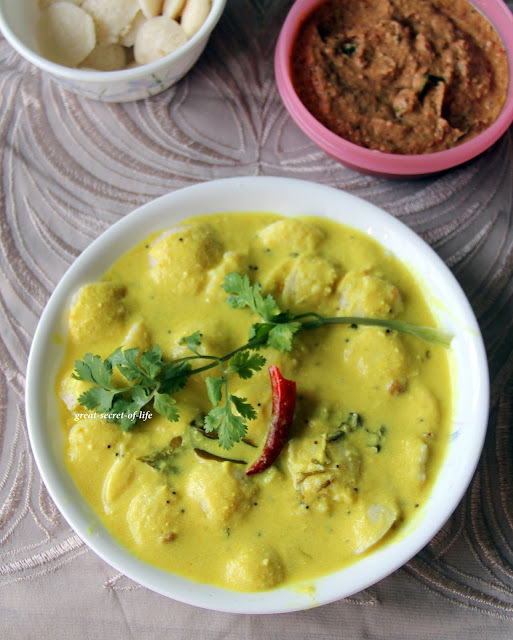 More kuzhambu Idliy---hmmm sounds very tasty..Everyday you are coming up with very innovative ideas! Mor kuzhamabu idli looks delicious. I love this version. This looks inviting and awesome! hmmmmmmmmmm very innovative and awesome morkuzhambu idli. Thanks fo sharing. Interesting recipe. 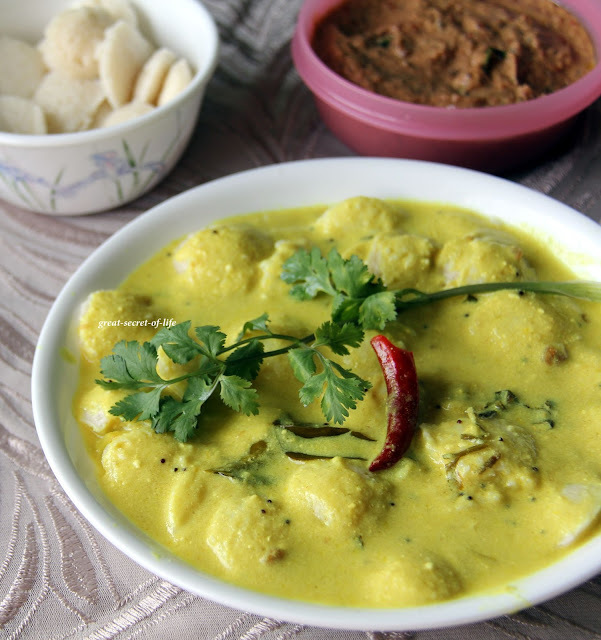 Should taste something like spiced curd idli right? oh yummy!! I am getting hungry!! Give me that whole bowl, cant take my eyes from ur clicks. Very unique. Seeing this one for the first time. Loved it.